We’re thrilled to be working with Adur and Worthing Wellbeing in April to present a great opportunity to get outdoors and get active as the warmer and longer days of spring set in. A completely free gym will be set up in local parks in the area and is available to adults over 18 of all fitness levels and abilities. If you’re new to exercise or just want a few tips there’ll be a personal trainer on hand to demonstrate safe use of the equipment and a range of exercises to help you meet your fitness goals. There will also be fun (not scary!) circuit training sessions running if you would like a different challenge. The kids won’t be left out either! 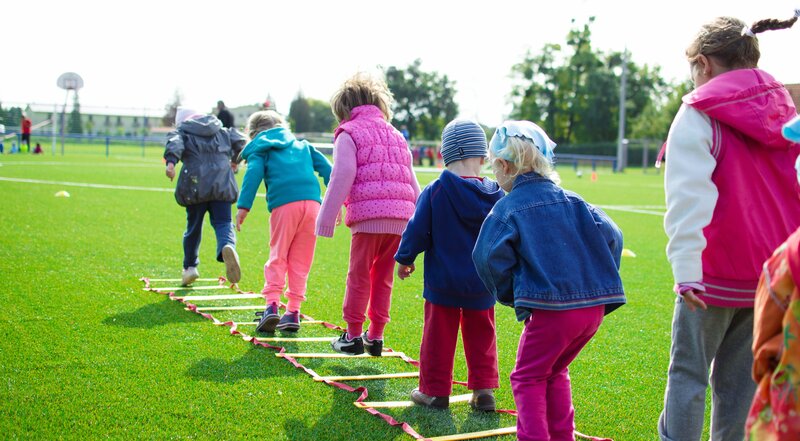 During the Easter holidays Activ8 will be running free kids activities so the little ones will be entertained while the adults fit in their work out. Check the dates below to see which location suits you best then get in touch via the contact form or on 07711 387740 to book your place or find out more information. Look forward to seeing you there! Interested in joining us? Sign up here – we look forward to seeing you there! Activ8 teaches children the fundamental movement skills and makes physical activity fun. The sessions are based around various themes and stories appropriate to the age of children and build on an individuals skill, activity levels and self confidence.